Bringing you a truly unforgettable stay, our unique Yellow Submarine room invites four guests to dive into the world of John, Paul, George and Ringo in none other than the land where they were born, Liverpool! 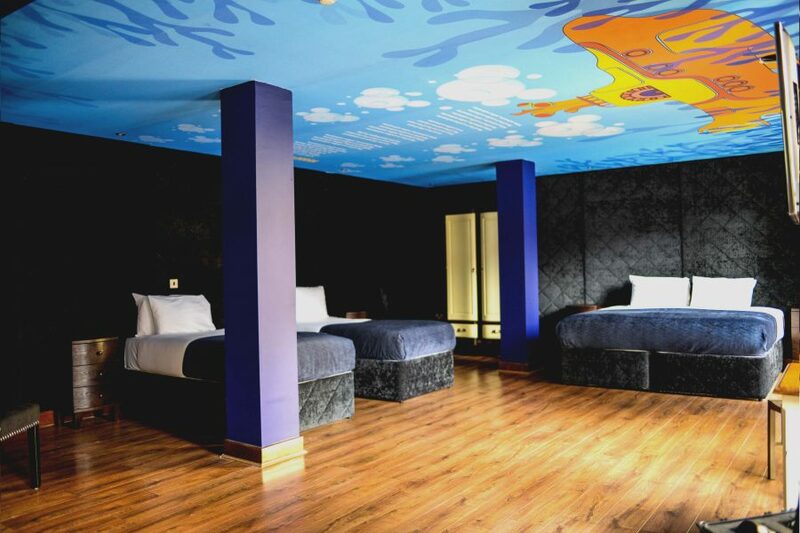 Be transported to the infamous yellow submarine with a stay in this luxury hotel room. Before you head out for a day of sight-seeing or a night on the town, you can sink into the double Jacuzzi bath or rest your head while you catch up with TV on the flat screen. At the end of the night you can make the most of the deluxe double bed or two single beds, making this spacious room the perfect spot for a family trip or weekend away with friends. Yellow Submarine is an animated musical comedy film inspired by Liverpool’s iconic rock band The Beatles. The story revolves around The Beatles’ submarine journey as they travel to save “Pepperland” and its Sgt Peppers Lonely Hearts Club Band from the Blue Meanies. Known worldwide simply as the Fab Four, the combination of talent and charisma of the four Liverpool lads made them the best-selling band of all time. Growing up in the suburbs of Liverpool with humble childhoods, the success of The Beatles is firmly rooted in small Liverpool venues. The band started out playing small gigs to locals, most notably the tourist-favourite The Cavern Club. No one could have predicted that The Beatles, known previously as ‘The Quarrymen’ would redefine music forever, but with Beatlemania sweeping across the world in the 1960s, there’s no question that the hysteria of their era sparked a musical revolution. With their endless fan base and widespread influence, it’s no surprise that films linked to The Beatles were high in demand. It was obvious that anything they influenced would bring flocks of audiences to cinema seats. Drawing more attention to using animation for artistic expression, Yellow Submarine followed the psychedelic style which can be identified in The Beatles most surreal of songs, such as ‘Lucy in the Sky with Diamonds’. Prior to its release, the boundaries of animation had rarely moved further than simple cartoons with repetitive visuals and basic storylines. Yellow Submarine paved the way for innovative animation with its dreamy sequences and memorable use of text and visuals. 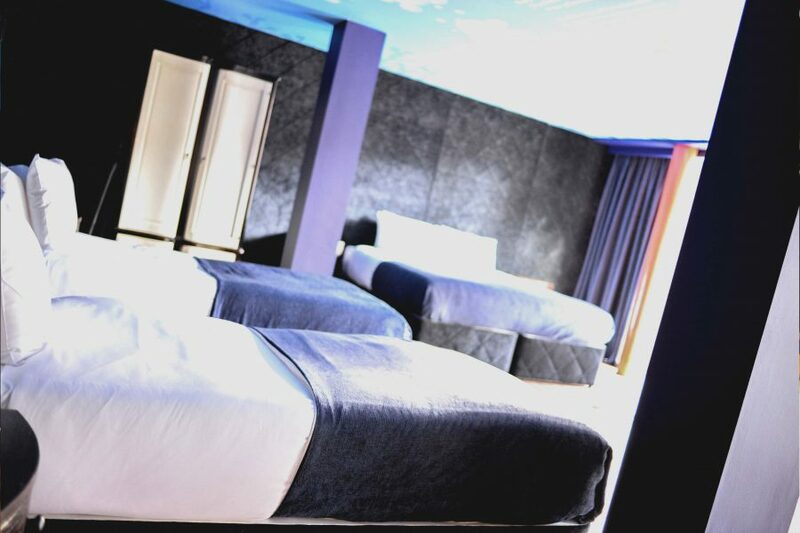 So, whether you’ll be visiting Strawberry Fields during your time in Liverpool, or you’re making the most of the city’s famous nightlife scene, this is the ideal room for a stay you won’t forget.